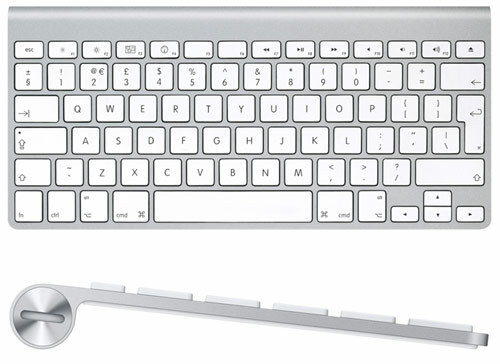 I have chosen the Apple wireless keyboard because it’s very slim and it can be taken with you every day use if you have an Iphone you or a phone with bluetooth you can connect it together makes doing your work easier. •Features a slim and sleek aluminium enclosure. •Low-profile keys that provide a crisp, responsive feel and a compact design that leaves plenty of room for a mouse. •The keyboard has been redesigned for better battery efficiency. 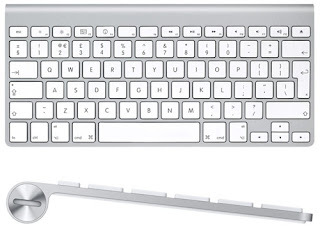 •Function keys enable one-touch access to a variety of Mac features. •Bluetooth wireless capabilities enable you to move it anywhere within range and type away. •Compatible with minimum operating system requirements: Mac OS X v10.5.8 or later. •Batteries required 2 x AA (included).